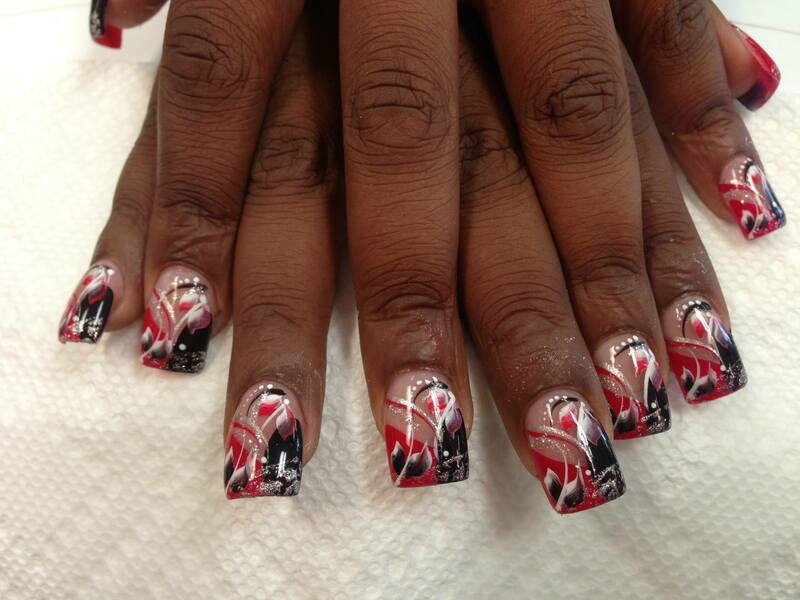 Creole Sound, nail art designs by Top Nails, Clarksville TN. 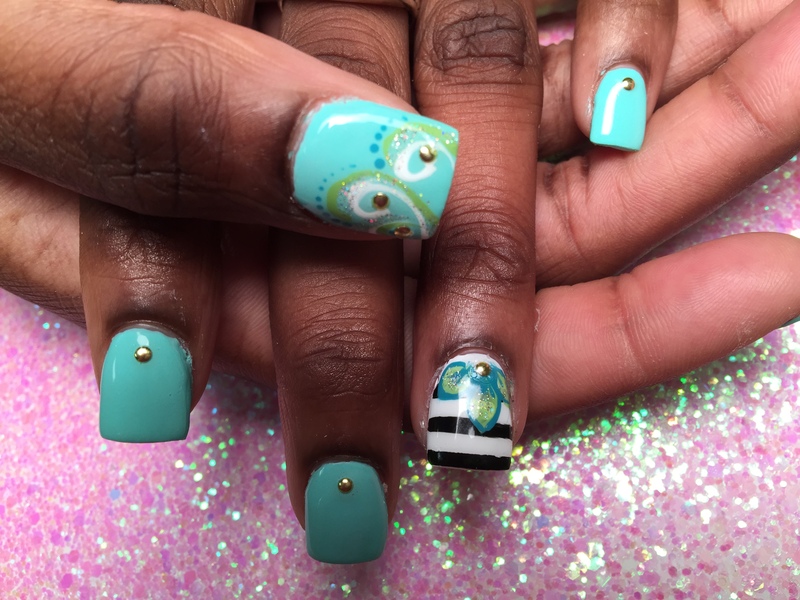 Half-curved black/Half-curved bright color (your choice) with white swirls and dots topped with blue/pink/white/dotted swirls and sparkles. Gothic Purity, nail art designs by Top Nails, Clarksville TN. 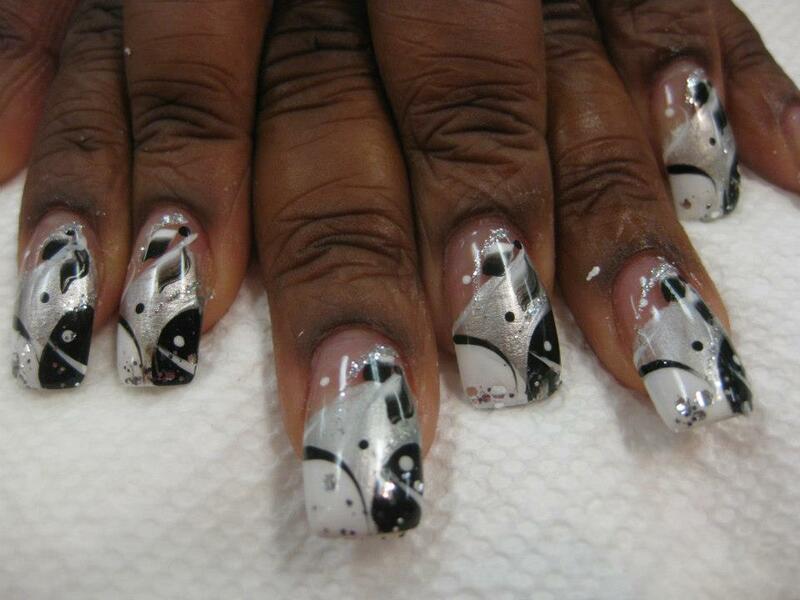 Silvery tip with random black etched lines topped with white lily petals and curved swirl of white dots. Curved black yin with white dot and curved white yang with black swirl on swirled silvery background and sparkly swirl. 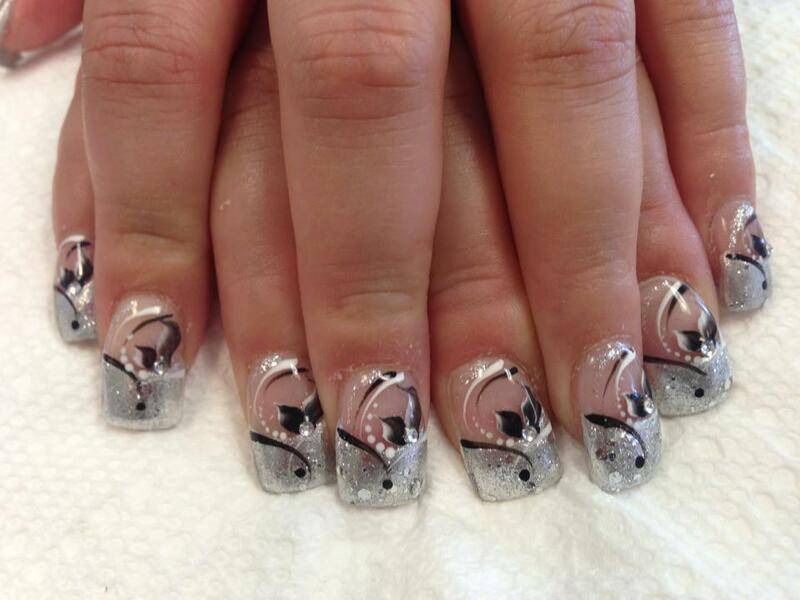 Diamond Ice Palace, nail art designs by Top Nails, Clarksville TN. 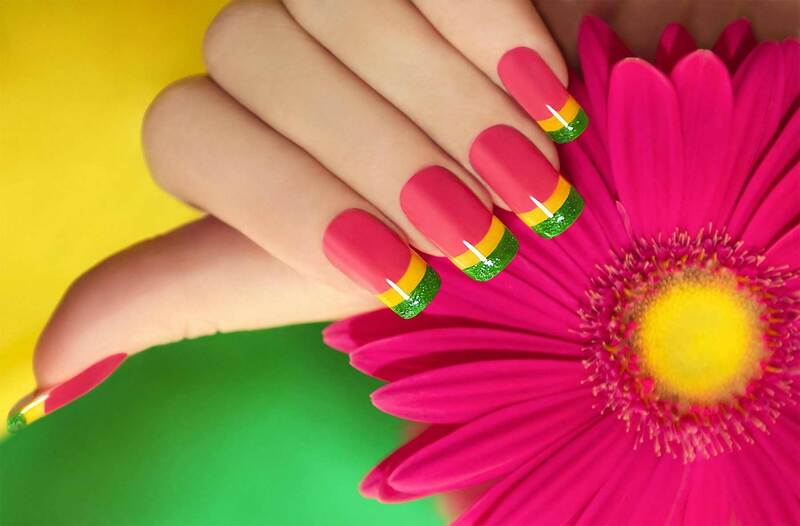 Sparkling crystalline tips with one black dot. Diamond beads, black/white swirls, curved white dots and two black/white leaves. 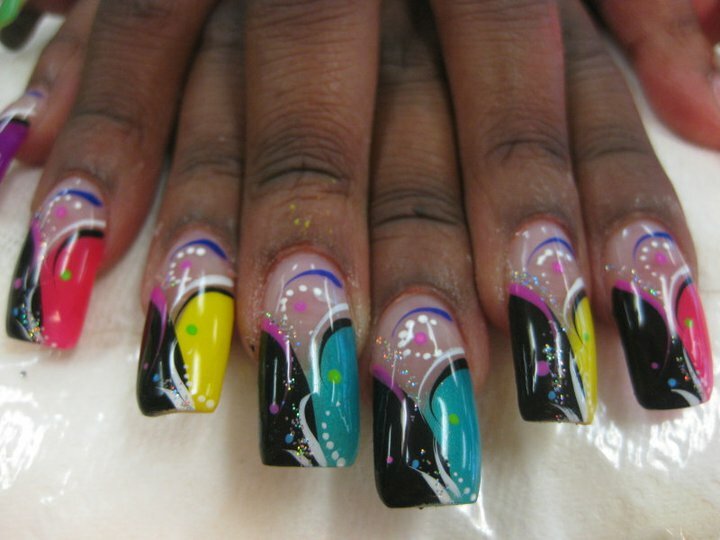 Masques of Mardi Gras, nail art designs by Top Nails, Clarksville TN.